In a deviation from my normal posts I decided to write a more observational piece based my own experience of cycling. So here goes. in my eyes these are the different types of home bike mechanic. A person who understands the limits of their home bike mechanic skills. They work on the bits they are comfortable with and are happy to use a shop mechanic for the big stuff. These are clearly the most reliable type of mechanic to cycle with. A person who spends their life tinkering with their own bike. These people are usually frustrated desk workers who are good with their hands. They are capable of replacing even the most complex of parts and rarely take their bike to a bike shop. 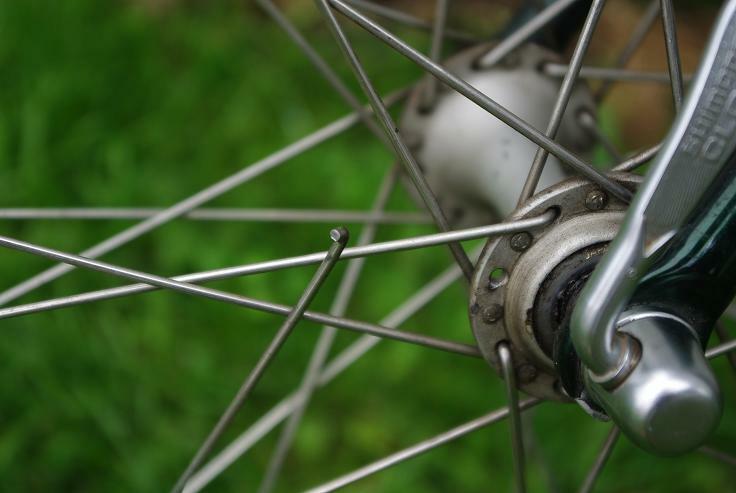 They are usually tool provers to other home bike mechanics and tend to have a clean bike. They are the ones with their shiny new crank arms still attached to the pedal but no longer attached to the bike on the first outing after said bodging. They will find excuses for their work which revolve around parts being the wrong size etc. If you are a bodged you need to convert to the virtues of The Limiter. These bike mechanics perform all their basic maintenance on the trail/road side. Normally this will be applying another patch to the failed patch on an existing tube or the one who wanders up the road clutching a rusty chain saying “it must have been the power I can produce” These mechanics in small doses can proved great entertainment to the group but beware their novelty factor quickly wears off. The ignorer will always perform said maintenance at the worst point in a ride. This maybe one of four pre determined locations. 50om from the start of the ride! The furthest point from home! I am starting to get to the last 10% of components of my bikes that I have not fiddled with yet making me a Tinkerer but which one are you? This is a small subset of the home bike mechanic world who build their own bikes. Once they have built one they will build more, and more. They have large credit cards and an addiction to bike building that is close to Class A drugs. The builder is not a pure breed though. They are rarely ignorers but can manifest the symptoms of a Bodger, Tinkerer or an Advisor. They are rarely Ignorers or Limiters. What Home Bike Mechanic are you? Whats in the stand: The Yeti 575. A small leak in the brake lever means a lever overhaul. Am I a Tinkerer?